Over on my other blogs I have been highlighting items on eBay which are either screen-worn costumes or screen-used props. 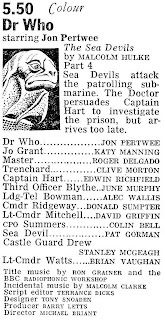 Things have been thin on the ground for the first three Doctors, and I haven’t spotted anything worth reporting on. This week however I spotted a one-off item I thought justified sharing, though as you’ll see it’s still not either a screen-worn costume or screen-used prop! 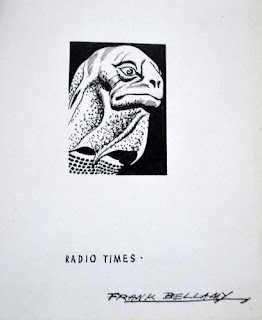 This is an original pen drawing by artist Frank Bellamy, who illustrated many Doctor Who listings in the Radio Times throughout the early 70s. 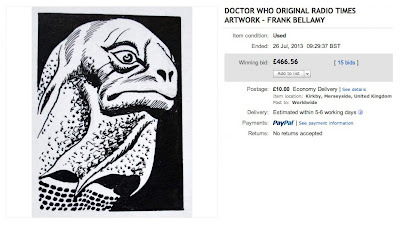 Needless to say, this one was drawn to accompany an episode of the Sea Devils! 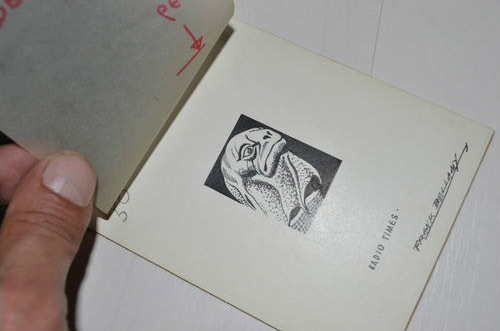 The illustration itself measures 35mm x 47mm, and it is on a thick board measuring 110mm x 135mm – with a gorgeous crystal clear autograph in the bottom corner. This has a piece of greaseproof paper above it, and black sugar paper on top of that which I assume was how the artwork was protected in transit to the Radio Times. The greaseproof paper has Dr Who P.20 written on it in red marker. I obtained this from a well known Doctor Who collector in 2003. 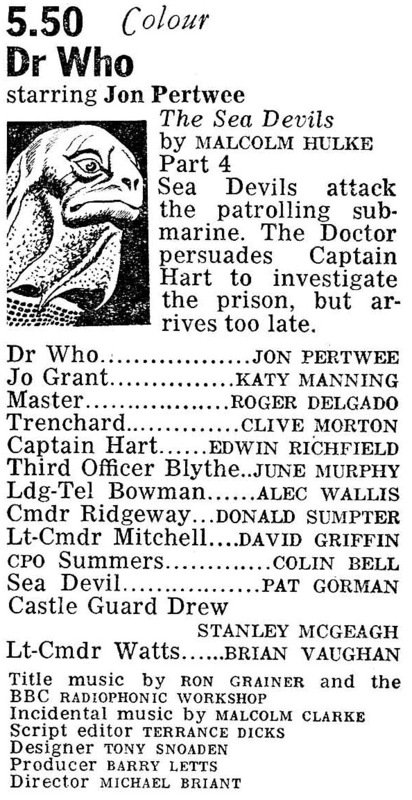 And to verify its authenticity, here is the original Radio Times listing, with the artwork on show.